Well, the updates continue. 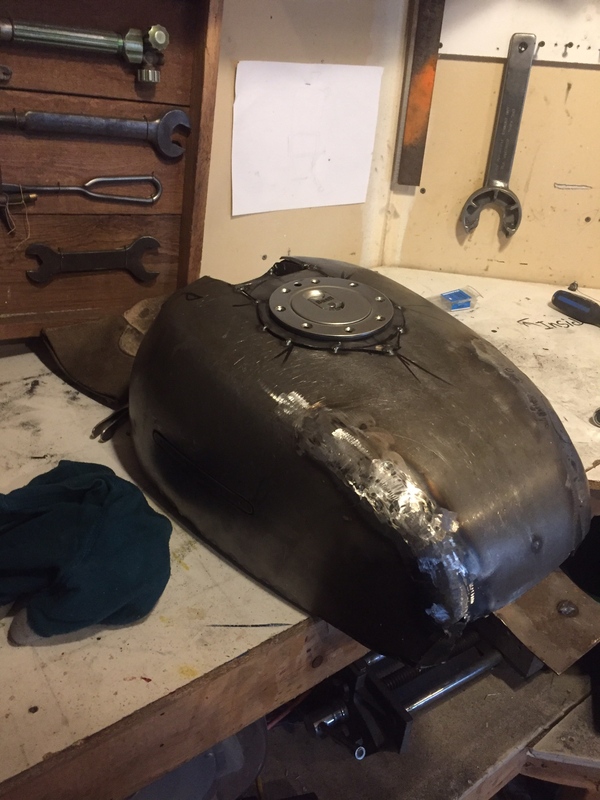 the tank is 80% done now, and what a nightmare it has been. 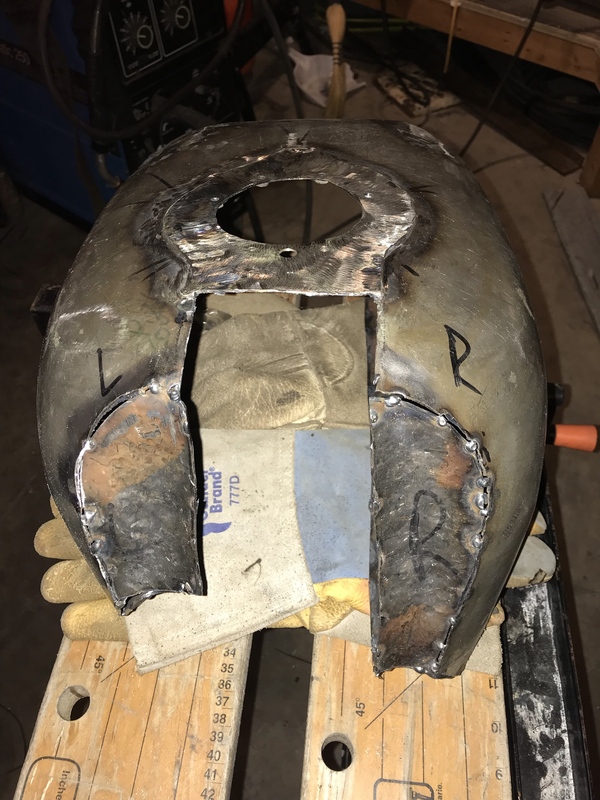 We have it pretty close to the shape we wanted, and are in the process of sealing up all the seams. Due to the mount and the carb, it is gonna be very left-side heavy, but we are working in as much capacity on the right side as possible. 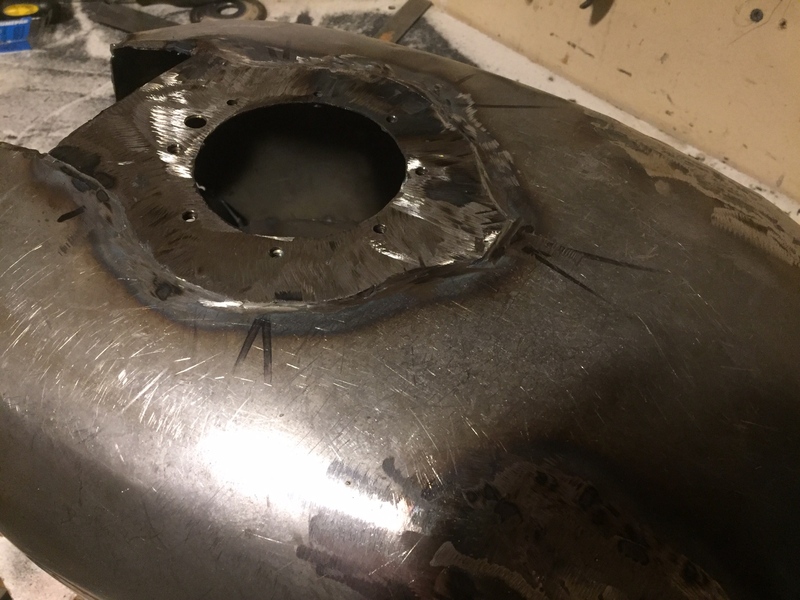 Once welding is done, we will grind it as smooth as possible and then pressure test. if all goes well, it'll be done in a week. You can see how much we cut out of the front to accommodate the clip-ons, and how much metal was removed underneath. 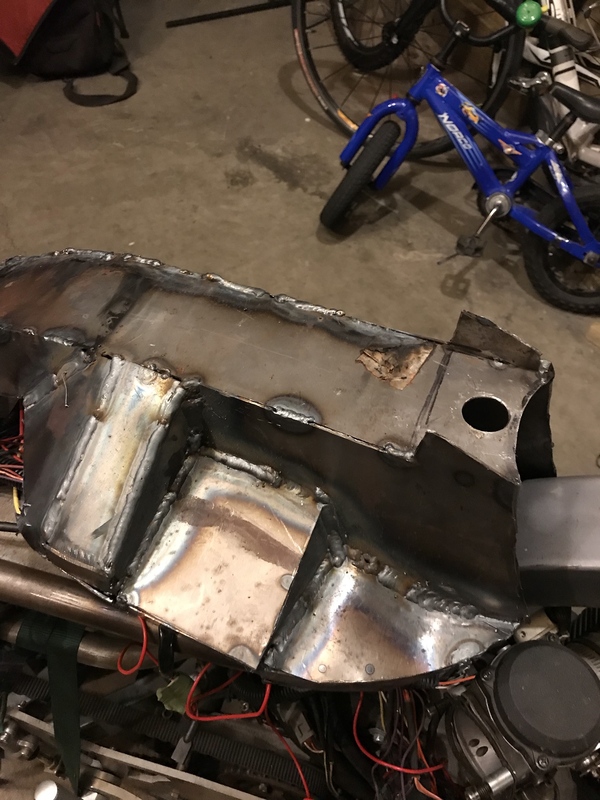 Also, as a "surprise" for me, my buddy who's been helping with the welding went above and beyond, and fabricated a new top for the tank that accommodates the original filler cap. I was beyond stoked, as it kinda lets it look like it is supposed to be there. Probably won't be everyone's favorite mod, but I'm not building it for anyone else. That's a lot of work. Cool!